Dramatic in appearance, pineapples certainly make a statement on the supermarket shelves! However, they also hold some great secrets when it comes to their nutritional benefits. And if you’ve ever wondered why cheesy pineapple sticks became such a popular party snack in the 1970’s, you’re about to find out! 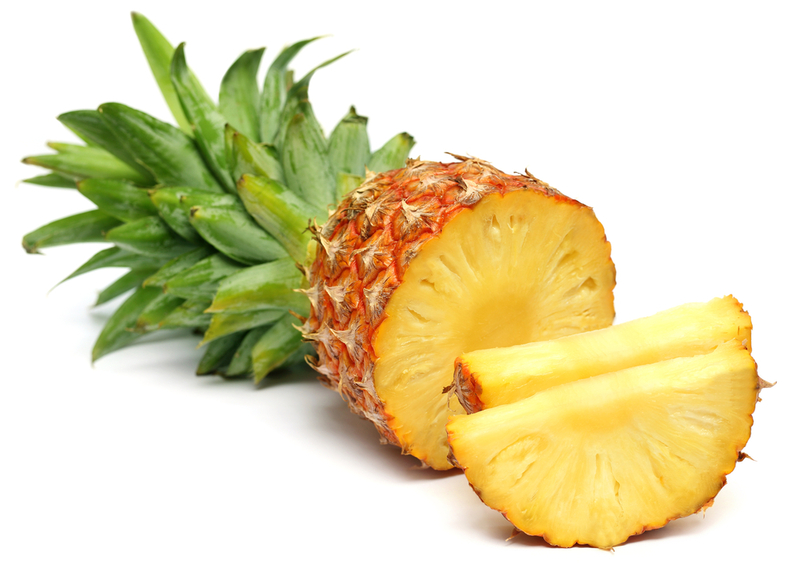 Clinical Nutritionist, Suzie Sawyer, shares some interesting nutritional facts about pineapples. Delicious pineapples always make me think of tropical beaches and sun-filled holidays. Pineapples are very versatile and can add a unique taste and texture to sauces, curries, chicken dishes and salads. And of course they offer some great nutritional benefits. 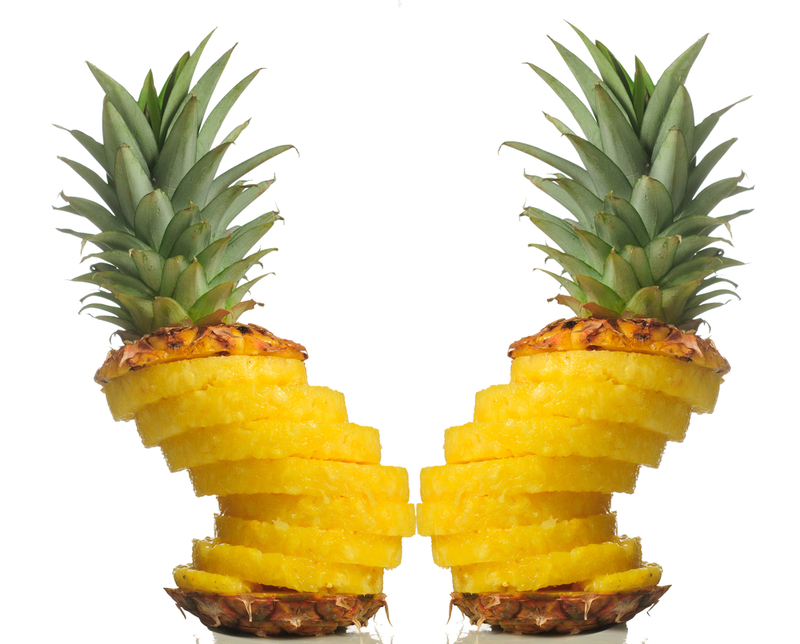 Many people may ‘shy’ away from pineapples because of their perceived high sugar content. Whilst they contain slightly more natural sugars than pears, they are much less ‘sweet’ than mangoes for example and are only categorised as ‘medium’ on the glycaemic index chart (the scale that measures the effect of food on blood sugar balance). They are in fact low in calories with zero fat and cholesterol, but rich in the fibre pectin, making them a great inclusion for any weight-loss plan. Pineapples contain more vitamin C than pears, which helps keep our immunity up. Vitamin C is also needed for the production of collagen, abundant in our skin and therefore essential for preventing wrinkles and the ageing process. They are also an excellent source of the trace mineral manganese, which is an important co-factor in many of the body’s crucial enzyme reactions, and also needed for energy production and healthy bones. Additionally, they are rich in vitamin B1, again important for energy. 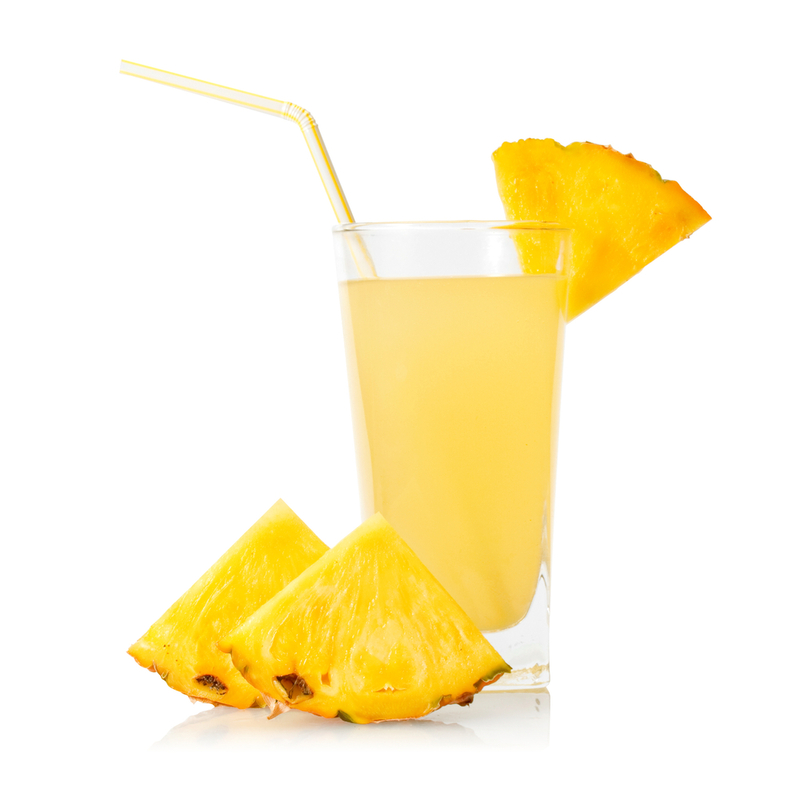 Pineapples contain a unique proteolytic enzyme called bromelain. In broad terms, this enzyme breaks down proteins, hence the cheese on your cheesy pineapple stick will be much easier to digest because it’s combined with the pineapple! As a result, pineapples are frequently used as a digestive aid, and bromelain is often added to digestive enzyme formulas alongside other important digestive enzymes such as lipase, and maltase. Bromelain also offers other amazing health benefits; it exerts powerful anti-inflammatory effects which can be used in cases of gout, joint inflammation and rheumatoid arthritis. This makes it an effective natural remedy. It also acts as a blood thinner, so is great for keeping the heart healthy. As well as breaking down food proteins, proteolytic enzymes help facilitate the breakdown of ‘rogue proteins’ (often responsible for many of our degenerative diseases) that the body also has to deal with in the bloodstream and soft tissue – they really do offer a wealth of health benefits. Remember, if you’re taking bromelain to aid digestion or within a digestive formulation, make sure to take it with your meal. But if you want to take advantage of its many other health benefits, then you should take it between meals, which is another reason why pineapple makes such as brilliant mid-meal snack! There’s so many ways you can incorporate pineapple into your meal or snack planning. Pineapples work really well in spicy dishes, but particularly sweet and sour recipes; indeed it’s a favourite ingredient in Chinese cooking. It also works really well when griddled, so is great on the barbeque, and can be added to smoothies and drinks: it is an excellent addition to anything made with coconut. And a top tip: proteolytic enzymes prevent gelatine, which contains protein, from setting, so if you wanted to make a pineapple jelly you would need to cook the pineapple first. So, if you see the classic cheese and pineapple sticks at a retro buffet near you, don’t forget to tuck in and enjoy the benefits! ← 7 healthy energy-boosting breakfast hacks.